The online version of this article ( https://doi.org/10.1186/s13643-019-0997-5) contains supplementary material, which is available to authorized users. The opioid crisis is the major public health problem facing Canada today. It has been deemed a public health emergency by both Health Canada and the US Surgeon General . Opioid use is common in Canada, with over 21,523,000 prescriptions written in 2016, which equates to 595 opioid prescriptions per 1000 Canadians [2, 3, 4]. This is particularly alarming as prescribed opioids (i.e., fentanyl, hydromorphone, morphine, and oxycodone) account for more than half of all opioid poisoning hospitalization each year , and seniors account for a quarter of those, with more than half accidental in nature and with worse outcomes [1, 2, 3, 4]. In the USA, over 60% of drug overdoses involve an opioid, and these most commonly involve opioids prescribed by healthcare practitioners . Canada is second only to the USA regarding chronic opioid use, which led to the Canadian Centre on Substance Use and Addiction to publish a document addressing prescription drugs that are not only legal, have therapeutic uses, but also have a high potential for harm . This document outlined five streams of action: prevention, education, treatment, monitoring, and enforcement . Long-term opioid use is less recognized publicly, but has been linked to a variety of poor outcomes such as frequent hospitalizations, unintentional overdoses, and death [7, 8]. This is of particular importance with high-dose usage, which has recently come to be defined as greater than 90 morphine milligram equivalents (MME) daily . The consequences of opioid-related healthcare visits have a significant impact on resource utilization, including emergency department (ED) presentations, hospital and intensive care unit (ICU) admissions, and significant patient morbidity and mortality as well as important socio-economic consequences [3, 10, 11, 12, 13]. Harm reduction strategies have been given multiple definitions in the literature. For the purposes of this review, harm reduction strategies are defined as “any policy or program designed to reduce drug-related harm without requiring the cessation of drug use; these interventions may be targeted at the individual, the family, community or society .” These may include, but are not limited to (1) in-hospital policies including medication review and referral to outpatient support programs; (2) outpatient measures, such as improving access to and use of prescription drug monitoring program, opioid agonist treatment programs, and referral to chronic pain centers; (3) physician education including web-based resources as well as workshops and seminars; and (4) policy development such as the creation of Alberta Health Services Harm Reduction Policy for Psychoactive Substance Use, the National Canadian Pain Guidelines, and the Canadian Federal Action on Opioids statement [5, 6, 14, 15, 16, 17, 18, 19, 20]. There is evidence of a modest reduction in mortality from these measures in the acute opioid toxicity setting . However, the data available on the impact of harm reduction strategies in patients presenting with long-term prescribed opioid use that develop complications requiring presentation to acute care settings is sparse. The impact of such strategies may be substantial given the reported high risk of adverse events in these settings [11, 21, 22, 23]. Additionally, recent trends in opioid prescriptions show stability or growing prescription patterns and usage, despite policies and measures put in place to address this growing problem . This highlights the complexity of outcomes associated with opioid usage, the potential for unknown interactions, and the need for further studies. Opioid use is an evolving problem which is better understood and publicized in the setting of acute intoxication, and for which long-term opioid use and its consequences represent the less well-recognized part. Long-term opioid use has high prevalence, and while the adverse health outcomes associated with it may have a relatively low incidence, they will still be commonly encountered. These adverse health outcomes include hospital and ICU length of stay, number of presentations and time to next presentation to emergency departments, number of readmissions to hospitals and ICUs, time to first readmission to hospital and ICU, unexpected death, and increased health resources in the emergency department, acute medical care, and ICU. The use of opioids has been shown to lead to poor patient outcomes in terms of increased mortality, and from a public health perspective to significant healthcare resource utilization and societal long-term costs in terms of work absenteeism and loss of productivity [1, 2, 13]. This likely extends to increased resource utilization in acute healthcare, although the precise impact and solutions have not been well studied or defined. However, it has been noted that patients with acute intoxication and with long-term opioid use (whether or not admitted primarily from opioid use complications or not) have an incremental risk for hospitalization and ICU admission compared to the general population [1, 2, 10, 11, 37]. Additionally, patients with prior opioid use have longer hospitalization, ICU length of stay, mechanical ventilation, higher opioid needs, and associated complications as compared to general population [1, 2, 10, 11, 12, 13, 23, 37, 38, 39, 40]. The specific subset of patients with long-term prescribed opioid use is less well studied but may have similar outcomes [22, 41]. Part of these worse outcomes may be related to poor knowledge by healthcare providers at all levels on how to properly choose and adjust opioids [19, 20] and how to properly control pain and drug withdrawal symptoms. There are a number of potential limitations for this review. First, long-term prescribed opioid use complications may not be well recognized by healthcare professionals and captured by studies, particularly in the acute care settings, because many complications (such as falls, fractures, and accidents) are not identified as resulting from opioid use . Additionally, progression to opioid misuse is inherently difficult to identify because of the underlying need for opioids in most of these patients [42, 43, 44, 45, 46]. As such, there is probably a limited amount of available studies in this specific setting, which will limit our ability to identify harm reduction strategies and their outcomes. We will use a broad search strategy to capture as many relevant studies as possible. Second, current harm reduction strategies are often highly dependent on patient cooperation, which can be difficult during acute illness, and which also might limit their applicability both in acute and outpatient healthcare settings. Specific interventions may be more applicable than others, and their effectiveness will need to be assessed on an individual basis. Third, it is anticipated that due to the paucity of focused literature on harm reduction with long-term opioid use in acute healthcare settings, and the expected considerable heterogeneity across studies in terms of methodology and patient characteristics, an aggregate analysis of the harm reductions in the form of a meta-analysis may not be feasible. 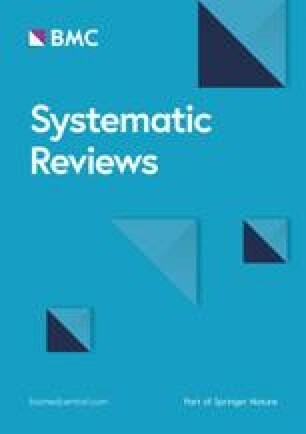 Fourth, we will limit the study to sources in French and English language, which may introduce a language bias and limit the evidence available for harm reduction strategies relating to certain populations; however, it has been previously shown that there is no evidence of a systematic bias from the use of language restrictions in systematic review-based meta-analyses , which will limit this issue. Nevertheless, a systematic appreciation of the data available will be important in shaping future research and giving direction for healthcare practitioners providing care for patients using opioids in the long term and recovering from acute illness.